is a humanitarian concept and also a charity organization (association), helping in education of Maasai children in East Africa. We are living in what is called the era of information. E-solidarity tries to give a new dimension to the word "information", a dimension more social and more human than technical. is the voice of the association M.A.A. (Maasai Aid Association). - it tries to connect worldwide, the generosity and abundance of some ones with the distress and the absence of the minimum vital for living of some others, such as vulnerable children. - it brings information at the level of rural Maasai women aiming to break the wall of isolation and ignorance in which some communities still live in and which is the source of violation of Children and Women Rights (speaking about FGM : Female Genital Mutilations, early forced marriages, lack of primary education for child girls and so on). thanks to you, M.A.A. donators and godparents. M.A.A. Projects 2017 all accomplished ! 3 major projects have been planned and have been realized in 2017. 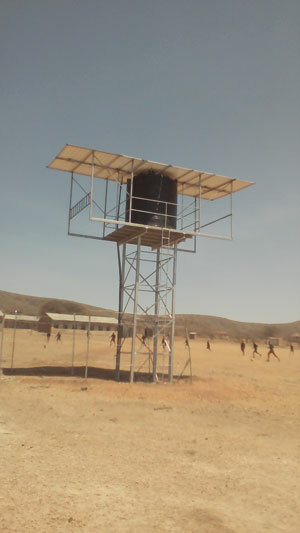 (A) "School infrastructure in 4 Massai villages", supported by the SSI of the State of Geneva and the "Lord Michelham of Wellingly" Foundation. 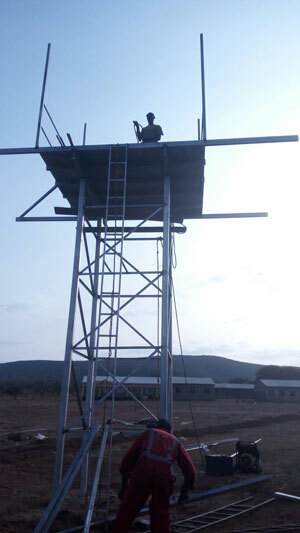 B) "School Infrastructures at 3 Massai villages" supported by the DGSI of the City of Geneva and the Commune of Meyrin. A project supported by the BNP-Paribas Geneva Foundation. For more details, photos, informations, have a look at our Newsletters, all on line. Our projects for 2016 all accomplished ! 1. Finally the borehole (the well) at the Enaramatishoreki village is functioning ! As a reminder, the water was found at a depth of 210 m down. The extraction is operated thanks to solar power (16 solar panels installed). 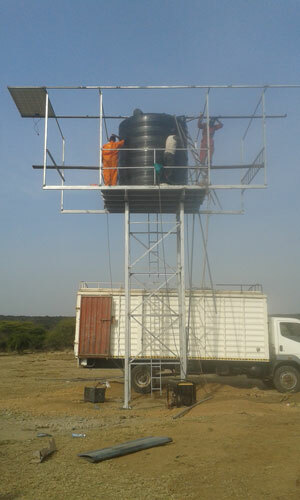 The submersible pump is situated at 180m in the ground, and two big water tanks are storing as an intermediary storage the water coming out when solar power is there. 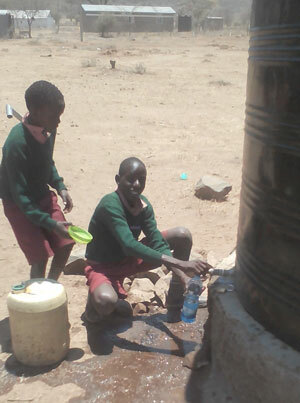 300 pupils from Enaram/ki primary school got fresh water for the first time in their life. 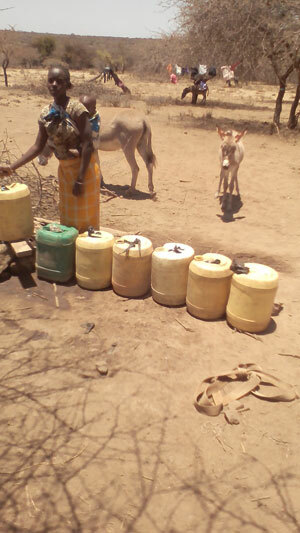 2400 people (Maasai around area) will have clean and drinkable water. Livestock (cows, goats and donkeys) will be watered from the same fountain, in a separate water place that MAA will build soon. Happy pupils drink clean water into the school yard. 2. M.A.A. paid orthopaedic surgery and burn victims reparation to 8 handicaped children at Kijabe Hospital, in Kenya. M.A.A. has a big "waiting list" of needy children waiting your support. Thank you to not forget them ! 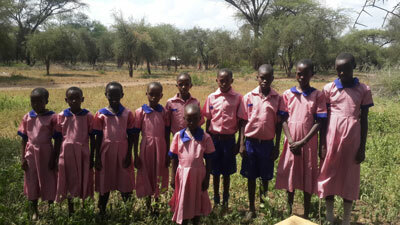 A sample of our beneficiaries, 6 to 19 years old. 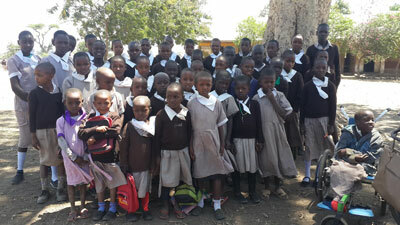 We are runing since January 2012 a full literacy program in 9 villages in Kenya. M.A.A. literacy classes are attended by 30-40 women each, aged between 20 and 60 years and having many children (between 3 and 13 children). This ambitious program aims to give basic skills to Maasai mothers or early married young girls, so that they are empowered and true citizen, knowing how to read, write and count. Below are some photos of adult (women) classes. Normally a woman teacher emplyed in the village public school is giving these private lessons using the primary school facility. Lessons take place 2h, 3 times a week. Maasai women help a lot each other. The first week was entirely spent in learning how to hold a pen ! The whole class in Matepes proud to be taken in photo. MAA has also offered 10 new school desks in one village, because the women were so many and had to be sitted on the class floor. This village in Rombo area has no school at all. The young children must walk 3-4 hours to get to the nearest public school. 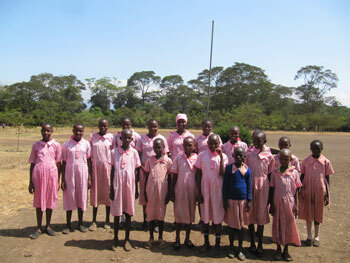 MAA has built a classroom for 50 pupils and 6 sanitaries. Here are some photos from inauguration ceremony. Later on 2012, MAA is seeking funds so that we can build 2 more classes. M.A.A. is in Special Consultative Status with the Economic and Social Council of the United Nations. 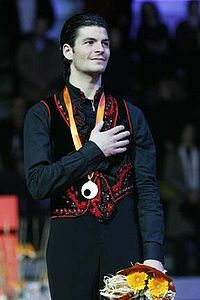 Stephane was World champion in 2005- Moscow, 2006-Calgary and silver medal in Winter Olympics of 2006 in Turin. He is M.A.A. 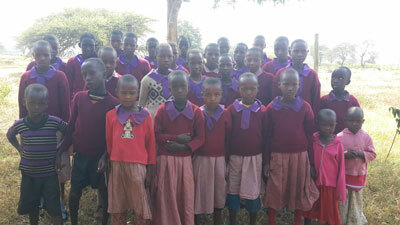 member supporting a Samburu girl scholarship at UMOJA village, in Kenya. He is very concerned by gender equality and women rights as well as social discrimination against girls and women. Stephane with Rebecca Lolosoli from Umoja, and Katy.